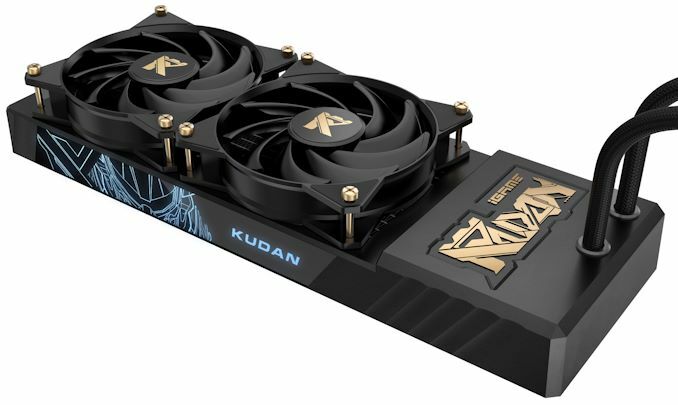 Colorful has introduced its new limited-edition graphics card that will belong to its top-of-the-range Kudan* tier. 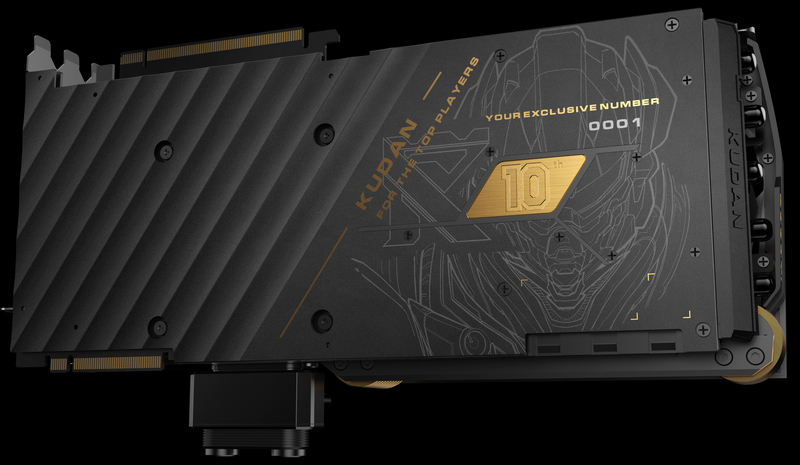 The company plans to make only 1,000 of its iGame GeForce RTX 2080 Ti Kudan graphics cards, but those lucky who will lay their hands on one of these collectible boards will not only get an exclusive high-tech device, but will also get extreme performance right out of the box. The Colorful iGame GeForce RTX 2080 Ti Kudan graphics card is powered by NVIDIA’s TU102 GPU (4352 cores) that runs at up to 1.8 GHz in burst mode (up from 1545/1635 MHz on reference/FE cards) paired with 11 GB of GDDR6 memory that sit on a custom PCB featuring a sophisticated multi-phase VRMs. Although Colorful does not disclose many details regarding this PCB and VRM, we do know that the card has three 8-pin auxiliary PCIe power connectors, which means that the card can potentially be fed with up to 525 W of power when adhering to PCIe specifications. 525 W of power is over two times higher than NVIDIA’s official TDP for its GeForce RTX 2080 Ti product. To ensure that the monstrous graphics adapter is cooled properly, Colorful equipped it with a triple-wide hybrid air and liquid cooling system featuring five fans in total — three on the card itself and two on the LCS’ radiator. Even without the liquid part, the cooler on the iGame GeForce RTX 2080 Ti Kudan card is already pretty sophisticated: it has five heat pipes, a massive aluminum radiator, three fans, and a backplate with an individual number of the board on it. Once the liquid part is attached, the whole cooling system gets even more potential to dissipate a massive amount of thermal power and therefore ensure some additional overclocking potential for the card. Meanwhile, the cooler is equipped with an LCD that displays real-time stats of the card (e.g., temperature) as well as RGB LEDs. 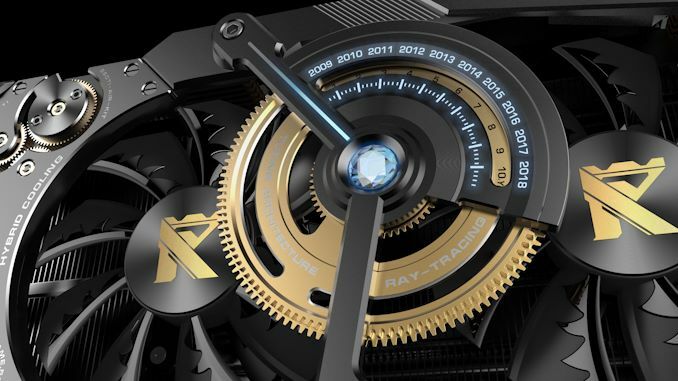 To celebrate 10 years of its iGame series, Colorful outfitted the cooling system with elements of fine watches, steampunk, and robotics, which are designed to make the look of the iGame GeForce RTX 2080 Ti Kudan card even more exquisite. These features may not exactly be a good fit for the name Kudan and martial arts, but since this is an anniversary edition product, there is a reason why cogwheels are there. 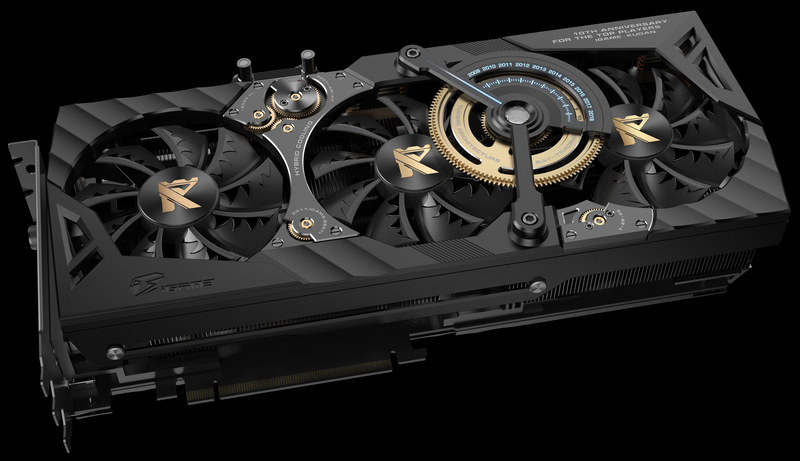 Colorful introduced its iGame GeForce RTX 2080 Ti Kudan in China earlier this month and is set to begin its sales in the near future. At some point, these cards will reach retail in other countries (e.g., Akihabara in Tokyo, Nanjing in Taipei, and similar places), but with only 1,000 units to be made, do not expect widespread availability. *Kudan is the ninth-degree black belt in Japanese martial arts, the second highest rank after Judan (tenth-degree dan, the absolute top in modern martial arts). Kudan represents a rare top-grade master in martial arts that stands well above 99% of black belt holders. Only fifteen people in the worlds were ever promoted to Judan in Japan and there are only three living tenth-degree dan holders.